.....hey, why not make a cake?? Is it wise to make a lemony cake? Will there be many takers for a lemon flavored cake or will it be a disappointing effort? I never imagined drooling over a lemon rich cake, until.... 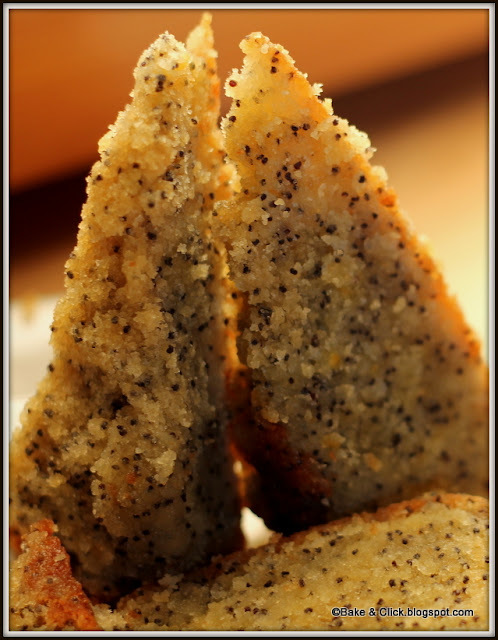 I came across this heavenly Lemon- Poppy seed cake recipe, by the Dessert Diva- Rose Levy Beranbaum. 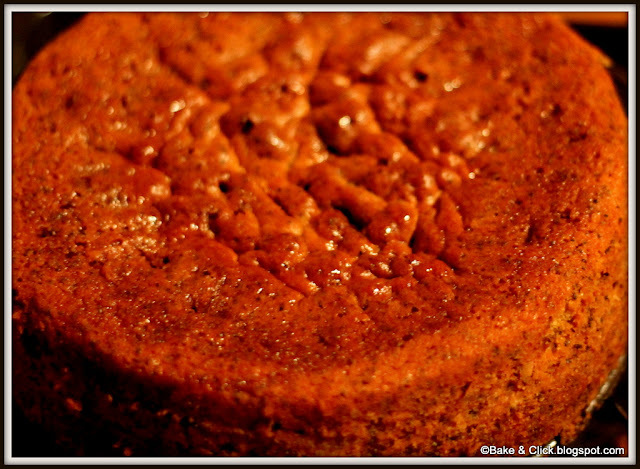 Not only does she describe it as her signature cake, tons of websites I searched are witnesses to creating aficionados for this magical recipe. This cake was baked to share with our friends V & N, on a weekend trip to Stockholm. Though our backpacks were quite bursting, I made sure the neatly sliced and packed cake found a safe place in mine. As the train wound down the countryside and passed through many an unknown town, we enjoyed this rich luxurious cake down to the last crumb. Here on, my baking adventures take a new turn. It has been over three years since I had been trying my hand at various recipes...when I was gifted on my birthday the two first cookbooks on baking by Mr. Click, my better half and photographer of this blogging venture. Rose's Heavenly Cakes and The Cake Bible improved my baking skills, introduced new wisdom into the art of baking and made me a better baker. Mostly I follow the recipes precisely but on some crazy days I bring in a few innovations or mix and match cakes and frosting's to my tune. I admit there have been a few heartbreaks but most of the times I have pulled it off successfully. For Rose's recipes, I will be giving just the variations that I did to bake my version. 1. When making the cake batter, I used just 2 eggs and omitted the extra egg yolk used in the recipe. 2. Used full fat (3.4%) plain yoghurt instead of the sour cream. 3. The cake pan used was a 9 x 2 inch (23 x 5 cm) round pan. It which was quite scary to watch the cake rising, as it felt the batter would spill out any moment, luckily the size was just right and it baked beautifully. So when using this pan, fill the batter just 2/3 of the pan and use the rest of the batter for cupcakes.